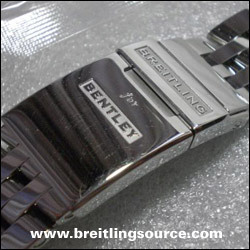 The speed 2 bracelet is a 5-row bracelet and differs from the original speed bracelet in that there is a "Breitling for Bentley" logo on the clasps instead of the standard Breitling wings logo and the addition of a more sophisticated micro-adjustment in the clasp. 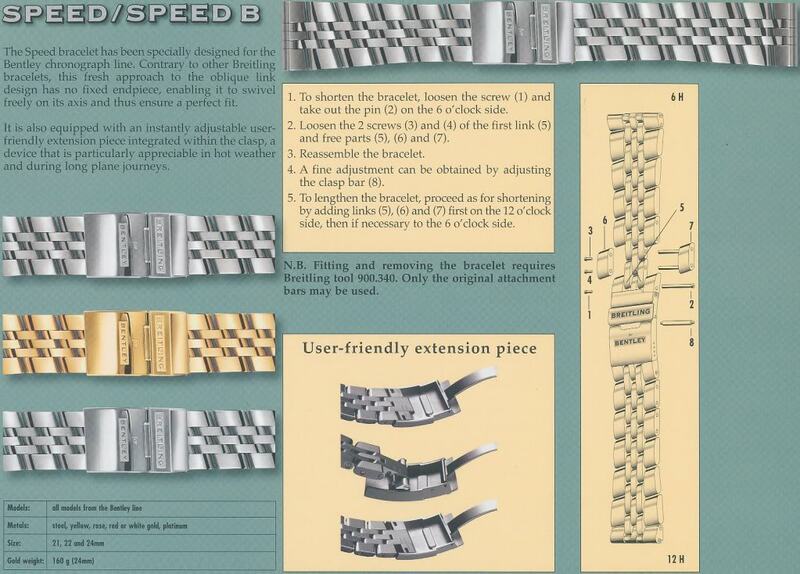 This was upgraded in approximately 2008 effectively discontinuing the original speed bracelet. This bracelet is also fitted with a user-friendly extension piece that allows you to loosen the bracelet, useful when the weather gets hot and your wrist may swell up a bit.